Will Google’s New Pixel Smartphone be the iPhone Killer? 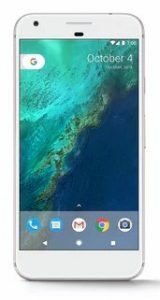 While Apple is still enjoying much success surrounding the recent launch of the iPhone 7, Google hopes to avert attention from the juggernaut flagship model by introducing their new Pixel smartphone. According to Google, Pixel has the highest rated smartphone camera ever, a battery that lasts all day, and unlimited storage for all of your photos and videos. In addition, Pixel is the first phone with the Google Assistant built in. Experts say Google’s latest push into the smartphone market has thrown down the gauntlet to Android market leader Samsung. Foad Fadaghi, managing director of emerging technology analyst firm Telsyte, said today’s announcement from the search giant is significant. “It outlined their ambition to be a strong player in not just smartphone software but also hardware,” Mr Fadaghi said. And while at first glance it might appear Google’s move is aimed at Apple, Mr Fadaghi said Google actually has Samsung “directly in its crosshairs”. Google’s latest phone is feature-rich, with new AI built-in, more storage and a better HD camera. iPhone® is a trademark of Apple Inc. registered in the U.S. and other countries.